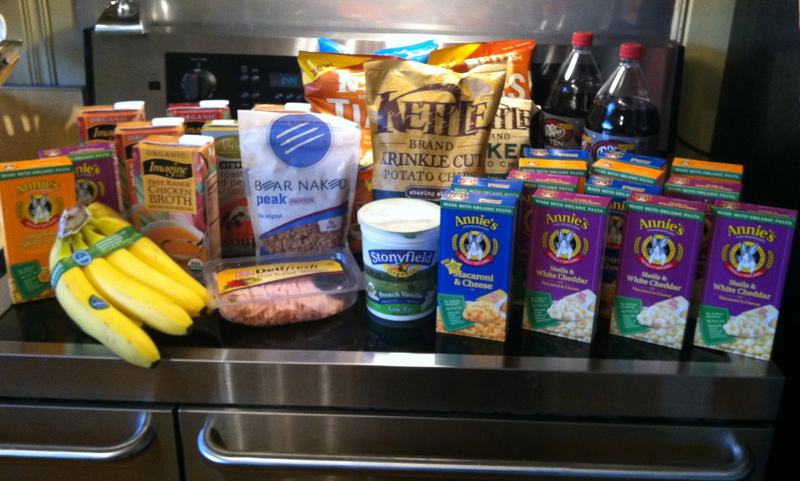 This week I stocked up on several items at Kroger. My babies eat Annie’s macaroni like it’s going out of style, and in anticipation on colder weather, I took advantage of amazing prices on organic broth. I am always making soups and such. Plus I was able to get free items to donate to Graceworks! Click the link to see how you can help at Graceworks this Christmas season! I got two deals on the Mega Event sale. If you buy 10 participating items, you get $5 off. I bought 20 of those items, so I got $10 off! I bought 15 boxes on Annies Macaroni. They were on sale for $1.65 a box, but after the Mega Event, the cost was only $0.69 per box! I also had (1) $0.75/2 coupon, so I got one of those boxes FREE!! I bought 5 boxes of Imagine Organic broth. They were on sale for $2.49 a box. The Mega Event took off $0.50 per box. Then I had (5) $1.00/1 coupons. After Mega event savings and coupons each box cost only $0.99 !! Not too long ago, Kroger mailed me coupons for a FREE bag of Ruffle Potato Chips, and a FREE package of Oscar Mayer Deli Meat. I also had (2) coupons for a FREE 2 Liter of Dr. Pepper 10. We love all Natural Tias Chips by Kettle. They are normally $3-$4 a bag. I saw 4 bags on manager’s special (they expire next month) for only $1.49 per bag. I bought 2 bags.